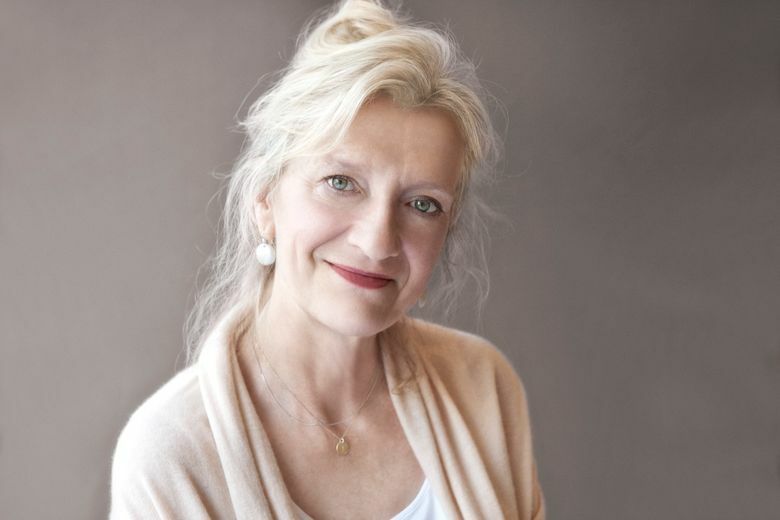 Elizabeth Strout is one of America’s most admired literary authors. Her novel “Olive Kitteridge,” about a flinty, hard-to-love Maine schoolteacher, won the Pulitzer Prize and was made into an HBO series that won eight Emmys. “The Burgess Boys,” her story of two brothers haunted by a terrible childhood accident, is in development by Robert Redford for HBO. Her new novel “Anything is Possible” (Random House, $27) continues the story of her best-selling novel “My Name is Lucy Barton,” as Strout moves from the life of Lucy Barton, small-town outcast turned famous writer, to the people Lucy knew, loved and hated in her small Illinois hometown. Strout appears Wednesday, May 10, at the Varsity Theater in Seattle’s University District, where I will ask her some questions about her astonishing body of work. She has won prizes and readers by writing about anonymous people with big secrets, and she writes with great compassion, even as she exposes her characters’ vulnerable cores. Here’s a preview, from a recent phone conversation. The author of “Anything is Possible” will appear in conversation with Mary Ann Gwinn at 7 p.m. Wednesday, May 10, University Temple United Methodist Church, 1415 N.E. 43rd St., Seattle. Tickets are $27 and available at brownpapertickets.com. Each ticket includes a copy of the new book and up to two people. Q: I’ve been reading one of those “how to write a novel” books. It tells the would-be novelist to create biographies of all their characters before writing the story. But in this case, after you published Lucy Barton’s story, you decided you wanted to write an entire other book of characters who knew Lucy. What led to that decision? A: When I was writing “My Name is Lucy Barton,” when Lucy and her mother would chat about different people, I just got interested in those people. I would move to a different part of the table I write on and scribble different things on different pieces of paper about Mississippi Mary and the Nicely girls and other characters in the book. Q: “Anything Is Possible” tells stories about different people in one small town. They add up to a novel. “Olive Kitteridge” has a similar structure. What do you like about it? A: I think it’s the way my mind works. It just feels very natural to me to do it that way, to have everybody have their day in the sun. Q: It’s like walking down the streets of a small town and being able to look in all the windows. A: Exactly, that’s kind of what I’m after, in a way. Q: Class is a big theme in “Anything is Possible.” In “Dottie’s Bed and Breakfast,” Dottie, who grew up poor, thinks: “[T]his matter of different cultures was a fact that got lost in the country these days. And culture included class, which of course nobody ever talked about in this country, because it wasn’t polite, but Dottie thought people didn’t talk about class because they didn’t really understand what it was.” I agree with Dottie. Why is class America’s blind spot? A: I’m glad you picked up on the class thing. I think all my work has been about class. It’s there all the time. It’s right there in our faces. Q: It certainly reared its head in the election. A: It sure did. … I’m not from a poor background. My father taught at a college; my mother was a writing teacher. It was not a lavish upbringing; we were New England Puritans. (But) I’ve always been interested in the rural poor. Every town has a family that’s ostracized because they’re poor. It’s horrifying to me, it’s just awful. Q: I heard you say once that when you were a little girl, you always wondered what it would be like to be another person. Does that still motivate you as you create your characters? A: I have always wondered that, ever since I understood — oh my word — that we’re never going to see the world except through our own eyes. I never got over that. It drives me crazy. That’s the motivating force behind my work. The idea that we’re isolated behind our own skin is just fascinating to me. If we can get inside the emotional truth of another person, we can break down those barriers and be more empathic. One of the joys of writing is that I suspend all judgment. It’s fabulous. When I stop writing I become judgmental, but when I’m writing I suspend judgment. Q: In an interview last year with NPR’s Terry Gross you talked about how it takes a certain ruthlessness to portray characters honestly, and yet you also seem to care about your characters very much. How do you balance those two things? A: You just let them do what they need to do … I just let them do it with as large a heart and as large a camera as I can. I do remember one day when I was writing “Olive,” I thought, oh, I should be careful. She is kind of harsh. Then I thought, you should just let her do it, you should just let her rip. Q: I will never forget the scene in “Olive Kitteridge” when Olive steals one shoe from a pair in her daughter-in-law’s closet, because her daughter-in-law has a compulsion for order and Olive knows it will drive her crazy. Did that actually happen? A: I didn’t even know she was going to do it. That was a fun day at work, let me tell you.